We take great pride in our work and value each and every one of our customers. 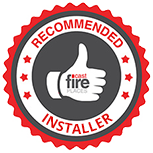 We are local to the Bristol area and all of our installation work is carried out to the highest standards as well as being guaranteed. If you require any further information about any of our services then we would be more than happy to help.